“On the Origin of Song” by Naim Kabir, a complex tale from BCS #131 that’s told through nested documents and reports, including text left in a character’s footprints after he sets metal type on the soles of his shoes, has been named by editor Rich Horton to The Year’s Best Science Fiction & Fantasy: 2014. Congratulations! “On the Origin of Song” is a fascinating and unique read, by a talented new author. 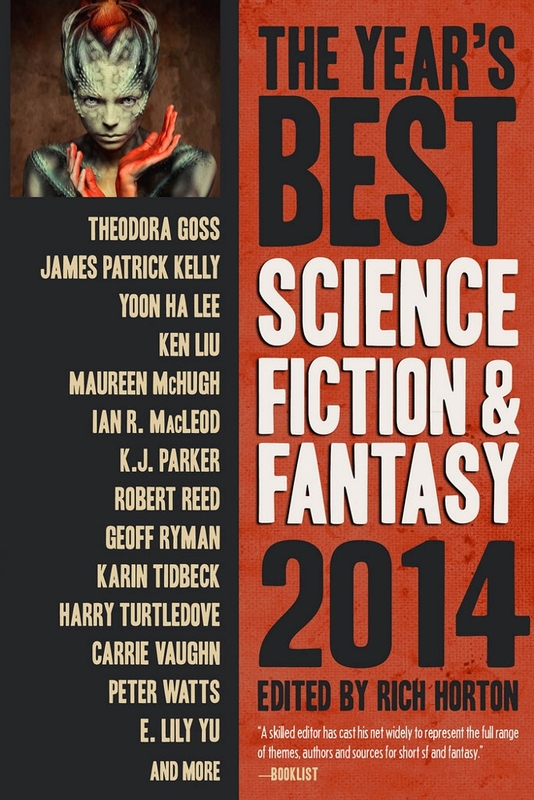 Other BCS authors appearing in this Year’s Best SF&F: 2014 with stories from other magazines include Yoon Ha Lee (“The Book of Locked Doors” in BCS #91 and several others, including a forthcoming piece in BCS Science Fantasy Month 2 in March: “The Bonedrake’s Penance”) and Benjanun Sriduangkaew (“The Crows Her Dragon’s Gate” in BCS #118, and a new story “Golden Daughter, Stone Wife” forthcoming in text and podcast this April).